Hive Technology is Wave59’s newest, most advanced Artificial Intelligence module. Earik has been using this technology to successfully manage a private fund for several years and has optimized it to the point that it is now ready for Wave59 customers. The power of this tool lies in its ‘Hive Mind,’ which leverages a multitude of individual elements, working together, to solve problems of varying complexity. Interestingly enough, the ‘Hive’ works better than an actual person in learning to trade the markets! Simply select a variety of indicators – the more the better – and let the Hive go to work. It will take the indicators you think are important, and combine them into a reliable trading system that you can turn around and apply to your favorite markets. Once it’s up and running, it can execute trades for you based on what it learns, and adjust itself as necessary on an ongoing basis. 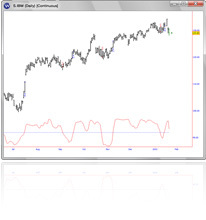 Example: This is a simple hive built using only one of Wave59’s indicators – the adaptive moving average. 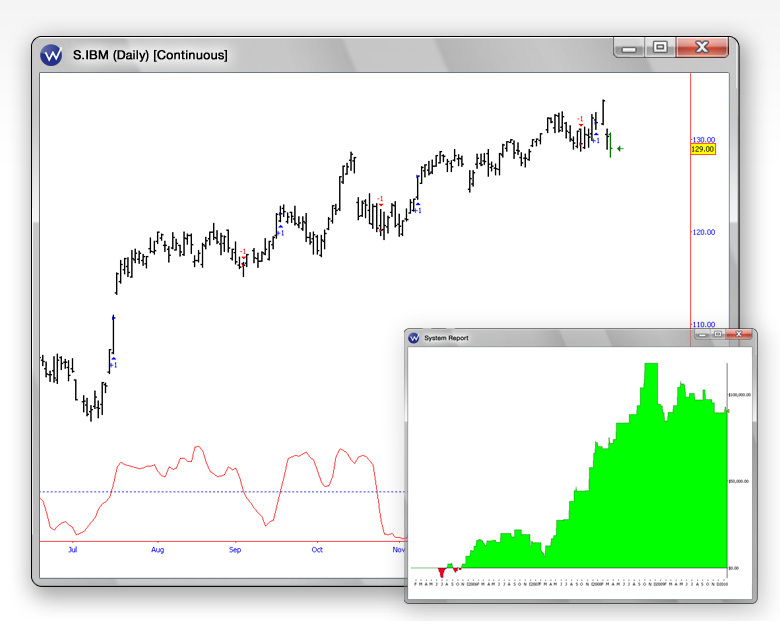 You can see that using just a single input, this Hive is able to profitably trade IBM. Remember, the Hive hasn’t trained on this data in any way – the equity curve represents the results moving forward in the exact same way as if you were using real money on tomorrow’s markets!